The Vintage Painter | Mother. Painter. Traveler. Born in 1925 in Milwaukee. Mother dies when she was 4. Father dies when she was 13. Raised her younger sister, Shirley. Played center field for the Milwaukee women’s baseball team during WWII. 300 bowler. Amazing golfer. JC Penny’s first female computer engineer. If you are going to be in the area, I hope you will come see me. I am in booth 23. 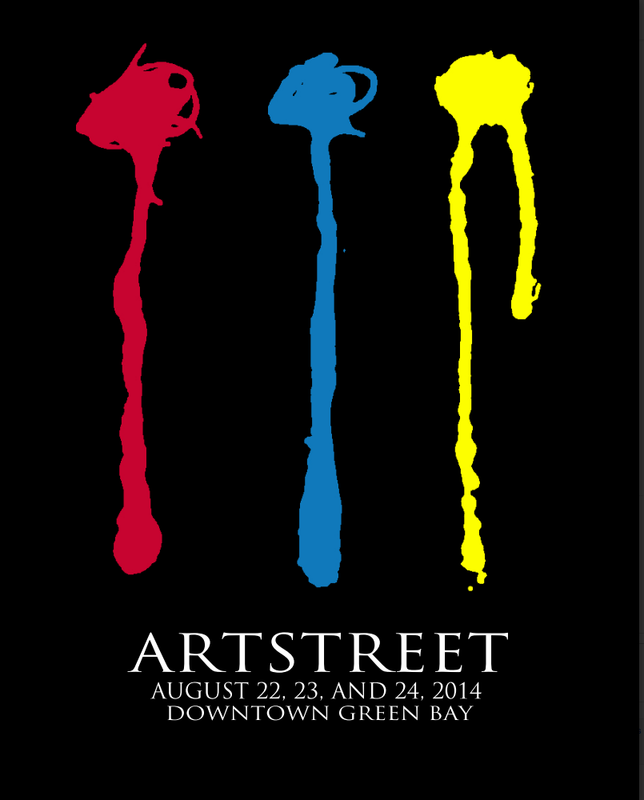 Next weekend I will be at the Artstreet art fair in Green Bay. 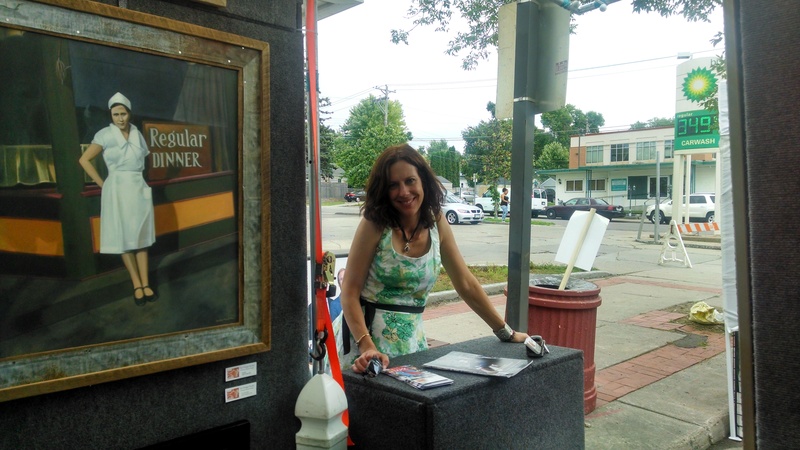 This is a wonderful opportunity to catch some great art and a meal. Hopefully, you can make it. I will be in Booth 198. Also, if you are going to be in the area please stop and eat at the Mustardseed Cafe. The family have been wonderful patrons of my work but more importantly I had one of the best breakfasts anywhere EVER at their restaurant in Green Bay. Just a quick note to let you know that I am auctioning an original oil painting this week. This original sepia painting, entitled The Wedding Kids, 15″ x 30″ (19″ x 34″ framed), is a one of a kind – there are no canvas or paper prints. You can click here or visit my auction site to bid and learn more details. If you are interested in bidding on it but are not comfortable – for whatever reason – using my online auction site please let me know and I will put the bids in for you. The auction ends August 15th at 6:00 pm CST. I get around. No. Seriously. I do. This year we are doing about twenty-five shows between April and October from Texas to Michigan and up and down the Mississippi River Valley. Because of all the getting around we do, this year we began a project to video document the artists and people that we meet around us. The videos are far from professional, but like my friends, I prefer to think of them as authentic. The result is that you will get to meet some really wonderful people and fantastic artists that you may not know are out there. At least that is the hope. You get to decide. Where possible we will include links to their websites, Facebook pages and their other social media. You can see more about this endeavor on my Vintage Painter Youtube channel. Writer, poet, photographer and teacher Charles van Heck. One of my favorite clients at the 2013 Deep Ellum Art Fair. First of all, next year, there is no way we are doing an art show every weekend between April and September. NO WAY! We are exhausted. I’m sorry we haven’t been able to post much this year. Not even pictures but with only five shows left this season I wanted to make a moment and let you know of one close to home in Minneapolis. 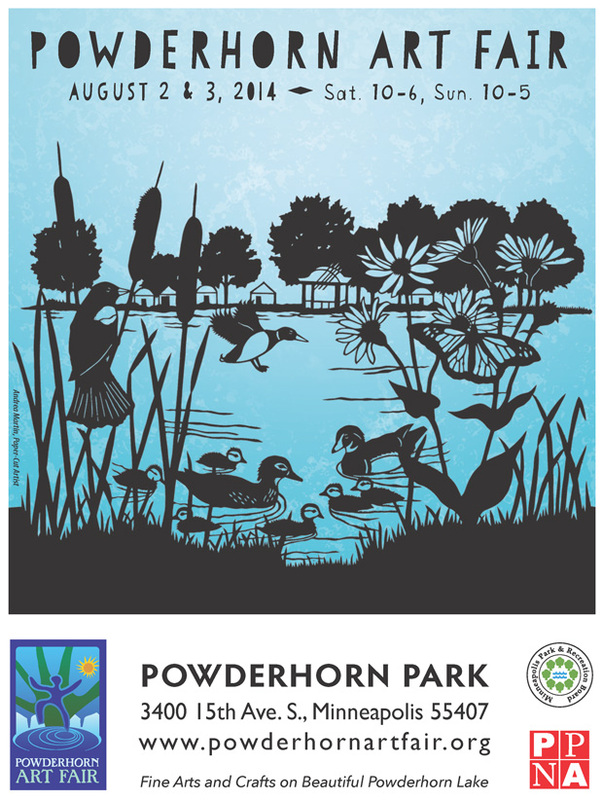 The Powderhorn Art Fair is this weekend. Of the three major art shows in Minneapolis this weekend – Uptown, Loring Park and Powderhorn, I like the cool grassy, tree-lined park overlooking the lake of Powderhorn best. Especially if it is as hot as they are predicting this weekend. I will be in Booth 102 overlooking the lake and, hopefully, under a tree. Come see me. Borrowed from Matt who borrowed it from Ellen Rohr that probably borrowed it from someone else.